Stella's Musings: Kim Jong -il: a look at the "mourning"
"He was garbage, good thing he's dead...", says a citizen. One of the top news headlines this morning was the death of North Korean leader Kim Jong-il. After I finished reading, I thought, from famine to N-bomb, this guy led a country from pole to pole, all the while maintaining the enigmatic wrap around it. Now that he is gone, how is the world remembering him? I went looking up some of the countries and here is what I found. 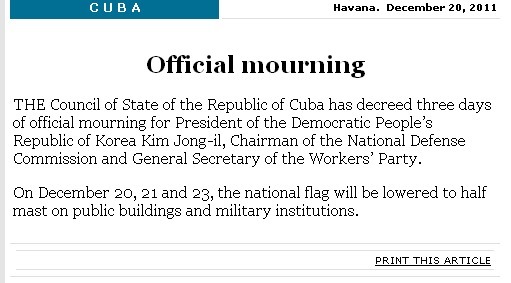 As communist countries, I expected Vietnam and Cuba to shed a lot of tears over the death of Kim Jong-il, and I wasn't disappointed. Vietnam sent a message of 'deep condolences' to North Korea, while Cuba went one step ahead, announcing a 3-day official mourning! Lucky Kim! How does one pariah government look at another? To find an answer, I searched New Light of Myanmar - the propaganda outlet of the Junta. Surprise, surprise, there was nothing! Not even a line! Poor Kim! "With the death of Kim Jong-il, the world is both a better and a more dangerous place... Better, because over his nearly two-decade rule of North Korea, Kim Jong-il killed or brutalized millions of his countrymen, illicitly spread nuclear technology and stoked regional tension and conflict. More dangerous, because Kim’s heir apparent, his son Kim Jong-un, is untested and unknown... in November 2010, two months after he was designated his father’s successor, North Korea launched an artillery barrage on a South Korean island, killing four people ― one of the most brazen attacks since the Korean War, and one that came on the heels of the March 2010 sinking of a South Korean patrol boat in which 46 sailors died." Hmm... this definitely won't be seen very kindly by North Korea which has already asked its people to obey Kim's son by sending a message which read "All party members, military men and the public should faithfully follow the leadership of comrade Kim Jong-un." Having come this far, I was now dying to find what Putin government had to say on good ol' Kim. Well, apparently, Russia isn't too sorry to see the death of an old man. Moscow Times quoted Foreign Minister Sergei Lavrov saying, "it should not affect relations between the two countries." Aside from this, Moscow Times threw a little more light on the communist leader's birth ("Kim was, in fact, born on Russian soil in 1941") and death saying "some news reports said he had suffered a heart attack... His penchant for cigars and fine cognac has done little to help his condition". Oh Kim! Well, by now you know how relieved the US feels to see Kim pass away, and, also how jittery it is to see a 28-year old guy leading a N-power North Korea. Reports Washington Post, "Obama made a midnight call to South Korean President Lee Myung-bak on Sunday to reaffirm the U.S. commitment to stability on the Korean Peninsula “and the security of our close ally” in Seoul." 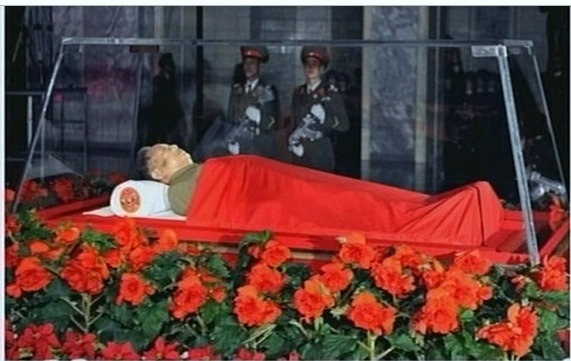 Finally, I looked for reactions on Kim Jng-il's death in the People's Republic of China. 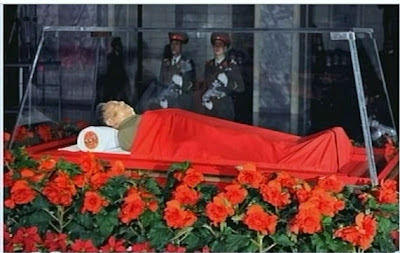 According to China Daily, China on Monday sent a message of condolences to North Korea that read ""We are shocked to learn that ...comrade Kim Jong-il passed away and we hereby express our deep condolences." Later, Chinese Foreign Minister Yang Jiechi also made a statement saying that the Chinese government and 'people' were deeply saddened by the demise of "close friend" Kim Jong-il. "We are happy that one more cruel ruler has died. 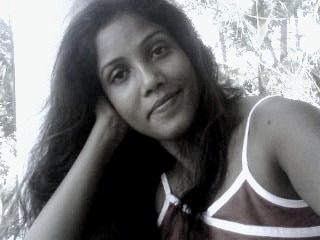 there is no remorse for his death." "he was garbage, good thing he's dead...adios!" "ding dong, the witch is dead, the mean old witch, the wicked witch..."
"he was trash and a psycho...the world is better off with him dead."